The ability to make decisions is central to strong living—yet many frankly admit that they are chronically indecisive. Well, they think they are; they just haven’t made up their minds. Sound familiar? 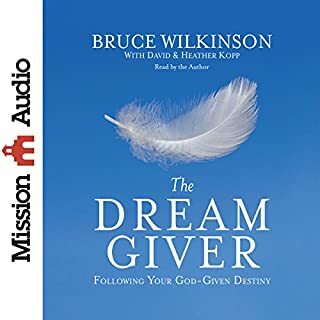 In this audio book, Dr. Barker shows how indecisive people are failure-prone, as he explores the decision-making process in the individual, especially the role of the subconscious mind in either abetting or thwarting every conscious mind decision. He then provides specific steps to shift the balance of decision-making power in your favor. Listening to The Power of Decision may well prove to be one of the best decisions you ever made. 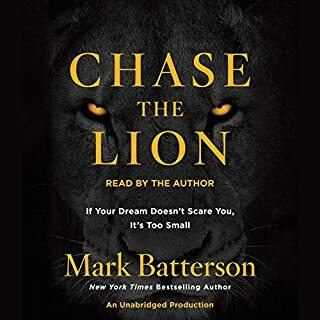 I listened to this book in one setting because I couldn't put it down. Can't wait to put into action what I learned! If you could sum up The Power of Decision in three words, what would they be? I have listened to it at least 4 times and will continue to until it sinks into my everyday living. ThIs book provides a clear and definitive path for successful living. If you really want a book about making decisions, this is not it. It does not have any kind of practical process for actually making decisions. This book reminds me of The Secret; it talks mainly of your mind being part of the infinite, adding quotes some bible verses. I ended up forwarding through a lot of it after several chapters. This is one interesting quote: "Money is the process, not goal. Money is God in action. It is the means by which the infinite circulates in my world affairs giving me ease and joy. Money is an idea in the mind of God, the idea of circulation and ease. I am an idea in the mind of God and these two ideas now coalesce, therefore I am money." He is garbage, and I hate with extra altered text is added to books, if you would change Shakespeare, why ruin another authors work? 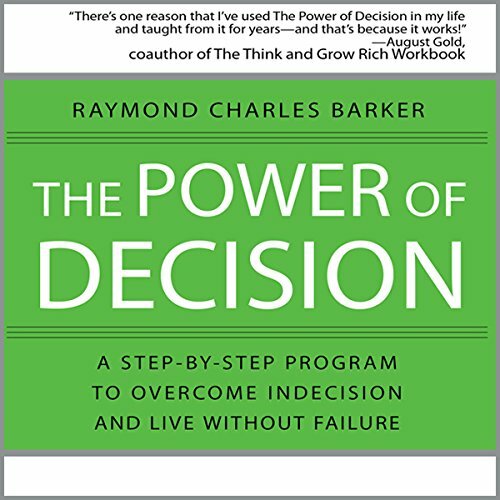 Do you think The Power of Decision needs a follow-up book? Why or why not? definitely a reread have a lot of jewels, for the reader, make a choice stay with it ,with good intentions and the universe is waiting to grant what's in the subconscious ! A Good Read Over and Over Again! Whenever I need answers to issues that I face, I go back to this book and listen. I always learn something new each time. The wisdom imparted in this book is timeless. Everyone should have this in their collection. Sean Pratt is an excellent narrator. 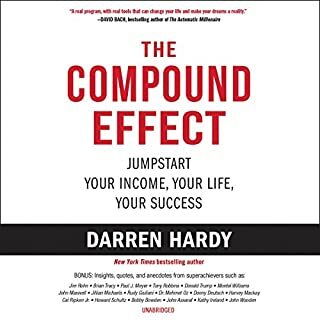 Putting this book in to action changed my life! 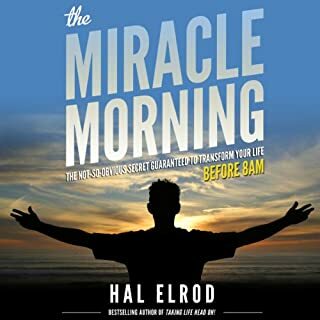 This book is dynamic and if you listen and but put it into action you will change your life! You begin to understand how you can change and become who you want to be! I found the authors comments on The Power of Decision quiet profound and esoteric in nature. He really made you consider "why" you make decisions and "where" they stem from. 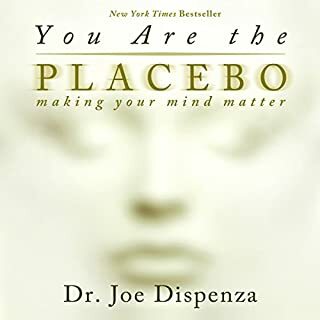 Definitely a book you'll want to listen to again and perhaps again as the author provides you with much to consider and opens your mind (or rather, asks you to open your mind) to the vast possibilities. This book was nothing like the short sample. I should have take time to read some reviews. It feels like sitting in on a sermon. Constantly spitting out bible versus and stories from the Good Book. The narrator is easy to listen to. The information in this book on thought process and how it effects your life is profound. Truly a must read to assist you in living an amazing, on purpose life. Once again, a title that hides its "spiritual" side. By spiritual it actually means quotes from the bible that to a practicing synic / agnostic find uncomfortable. For those that are happy with the whole jesus / bible thing...you will love it. 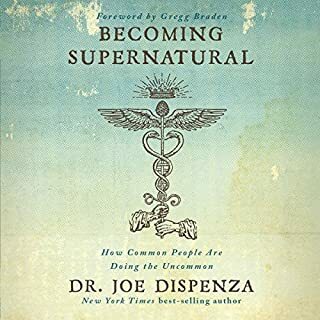 This book seems to be the Anthony Robbins of the Christian self-help books. I can see how it will be great for those who believe, for those who dont, you'll end up having to mentally ignore the lines such as: "as Luke says in verse blah blah..."
I have a large collection of self improvement programs and must say, The Power of Decision has been (still is) the most effective. People like me (chronic procrastinator, indecisive) have always found making decisions quite stressful due to fear of making the wrong one. But, this book helped me realise that deciding on acting or not acting is still a decision. So in order to move forward in life you still have to decide. I specially loved the affirmations in each chapter, and listen to it regularly. I learned to believe in my decisions and stick by them, if it (decision) doesn't work, i don't get upset, i just see it as feed back and try a different approach, but still believing that i would succeed. That is believing in my decision! Which has helped improve my relationships both at work and at home.